FRIDAY, Feb. 6, 2015 (HealthDay News) -- Premature babies have an increased risk of developing asthma, but are likely to grow out of the disease, new research says. 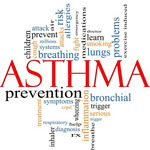 "The study confirms that those born prematurely [less than 37 weeks of pregnancy] are more likely to suffer asthmatic symptoms and lung conditions than other children. However, the good news is that they grow out of these conditions," study co-author Dr. Anne Louise de Barros Damgaard, a former medical student at the University of Copenhagen in Denmark, said in a university news release. "We have looked at premature babies from birth and until the age of about 30, and we can see that the children do better and better. As adults, they suffer no more lung conditions than others," she added. The researchers analyzed the birth and health records of 1.8 million people in Denmark from 1980 to 2009. The finding that many premature babies grow out of asthma is important because an increasing number of these babies survive and there is limited knowledge about their health later in life, according to the researchers. "There are a lot of half stories, myths even, about the health implications of prematurity, and they can be a source of worry for parents of premature babies. It is therefore good to know that as adults premature babies are no more susceptible to lung conditions than other people," Theis Lange, an associate professor in the biostatistics department at the University of Copenhagen, said in the news release.